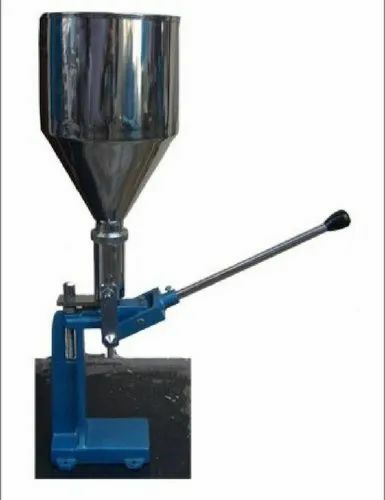 We are offering a wide range of Jam Filling Machine. These machines are comparable to the best because of their outstanding features, both functional and mechanical. Backed with a decade of industry experience, we 'Pharma Seals', established in the year 1979, are one of the prominent Manufacturer and Exporter of Crimping Machine, Filling Machine, Sealing Machine, Capsule Counter and much more. These products are manufactured using premium quality raw material and spare parts that are sourced from reliable vendors of the market. We believe in providing an absolute solution to all the customers, who are on a lookout for quality in a cost-effective manner. Furthermore, our products are acclaimed in the market for their features such as optimum performance, durable finish, and long service life. We are equipped with advanced technology & machinery that enables us to produce long-lasting and durable machinery, which serves diverse industries. Our prime goal is to provide high-grade products to our valued clients with their utmost satisfaction. The offered products are rigorously checked by our quality controllers to ensure a zero defect product range at the customer’s end.